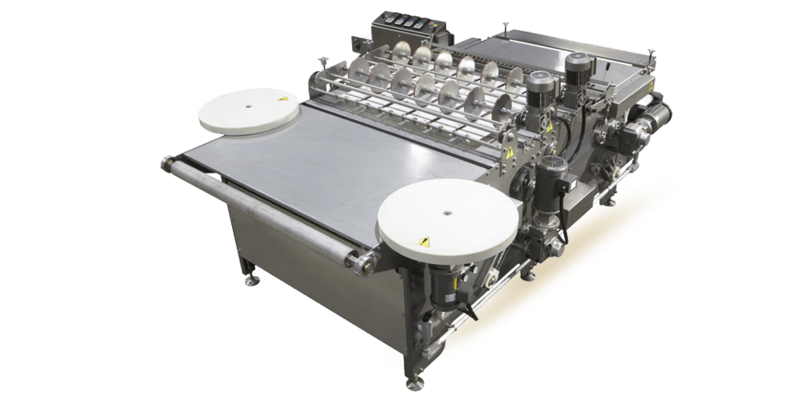 The Thomas L. Green Cracker Breaker precisely breaks strips of crackers and other sheeted products into orderly stacks ready for packaging. The breaking wheels separate the strips into individual crackers which are stacked onto the second conveyor where they are ready for cooling, hand-loading or delivery into automated packaging systems. 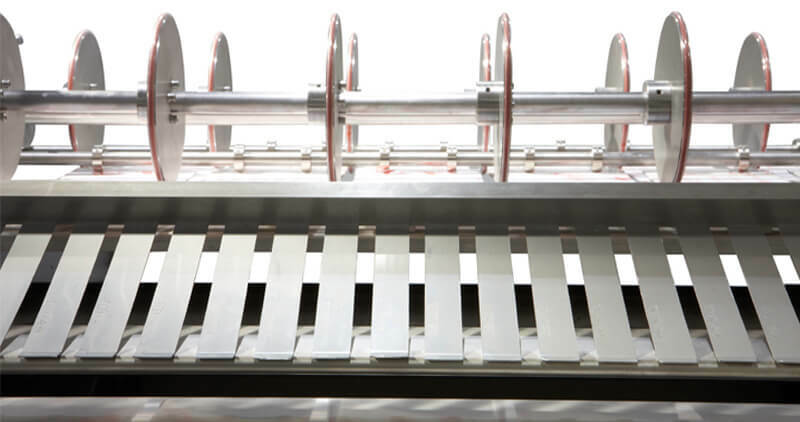 Cracker strips are delivered onto the first conveyor and aligned by two powered wheels mounted on either side of the conveyor. These wheels ensure consistent alignment of the cracker strips. 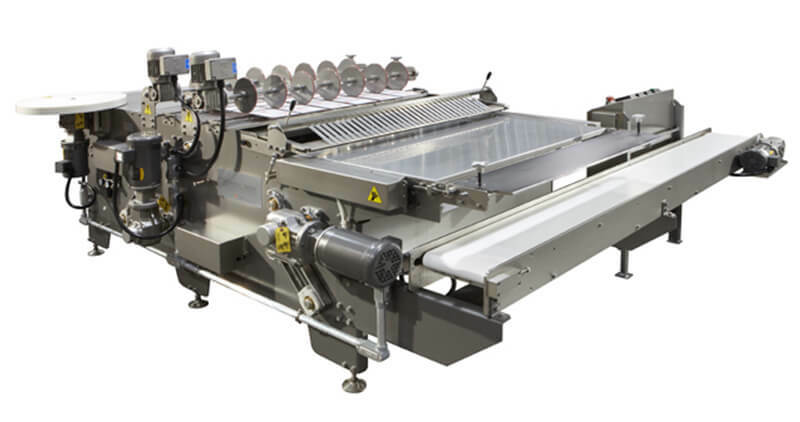 The two separate conveyors have dedicated drive assemblies, variable speed motors and reducers. Breaker wheels are individually adjustable and can be repositioned for new die arrangements. RBS equipment is designed and built to our SafeShield Program standards to ensure operator safety, easy and quick sanitation and food safety.